You've seen him on TV and in the media with Usher, Romeo Santos, Steven Tyler, Queen Latifah, Zoe Saldana, Jesse y Joy, Gerardo Ortiz, and more! 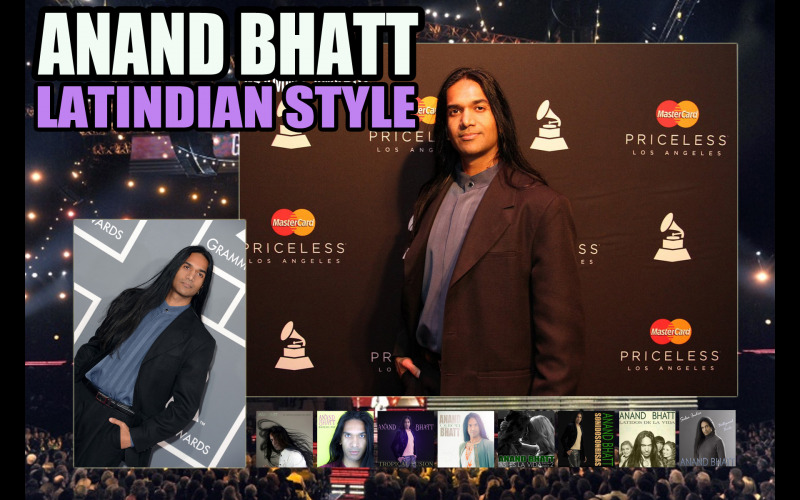 Anand Bhatt is the 1st Indian-American to walk the Latin Grammy red carpet and now's your chance to win the ultimate Anand Bhatt collection of Music and Videos - from the latest material to greatest hits and behind the scenes. Named one of the Top 5 Indian-Americans to watch in Hollywood by the Desh-Videsh list, Anand Bhatt [pronounced ONN-INN BOTT] is known for his internationally recognized music known as "Latindian Style" (Latin+Indian) with songs such as "Freedom" "Nada Nos Puede Parar" "In Time" "World Keeps Turning" "Nomad" "Kitna Pyaar" "Perfect Storm" and "Girl in the Snow" to name a few! Enter to win the Ultimate Anand Bhatt Collection and Do it Latindian Style! Winners will get download access to over 50 songs and videos!